Shady Grove Home Apartments Childress Housing Authority serves Childress County. If you need housing assistance, we are here to help. 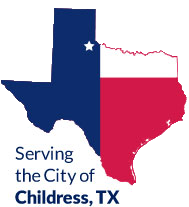 Childress Housing Authority provides public housing assistance. Please review our site for a few minutes - it could change you and your family's life. We offer 80 units ( all are first floor/ ground level units ) with housing provided for Seniors that is located separately from housing provided for Families. Our two Community Centers are available for Resident use. Others in the Childress community may rent either of our two Community Centers as well. Use of either Community Center is guaranteed with a reservation, please call our office for more details. Childress Community Assets: VA Approved Clinic, Hospital, Dialysis, Optometrist, Dentist, Orthodontist, Community College, Shopping, and Downtown area, all which are within 5 miles. Our mission is to provide decent, safe, sanitary housing in a drug free environment to help promote economic independence for eligible individuals and families.